Step in Snap Marketing. They made us feel they understood the brief, the business and that they were genuinely committed to getting it right for us. 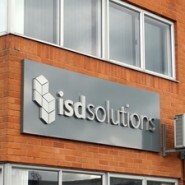 I recommend you visit www.isd-solutions.co.uk to see the result. I am looking forward to working with Debbi and the team at Snap for years to come.